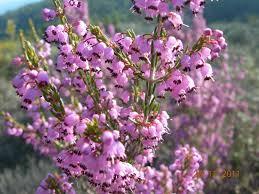 Taste: Heather honey is distinguished for its characteristic strong taste. Crystallization: Due to the high natural levels of glucose, crystallizes very quickly (within about 1-3 months) and therefore not suitable for mixing with other honeys and creating commercial types (blends). Honey also sours more easily than other types of honey, because it has high humidity and high content in yeasts. Nutritional value: The heather honey is considered a very nutritious honey and particularly tonic for the body, because it contains dozens of natural nutrients, vitamins, enzymes and aminoxea.